Offering an outstanding combination of features and functionality in a compact and portable design, the VIXIA GX10 delivers refined video quality with stunning detail to video enthusiasts and aspiring filmmakers. Featuring a 1.0-inch 4K UHD CMOS image sensor and dual DIGIC DV 6 Image Processors, the VIXIA GX10 records in MP4 format to dual SD card slots. 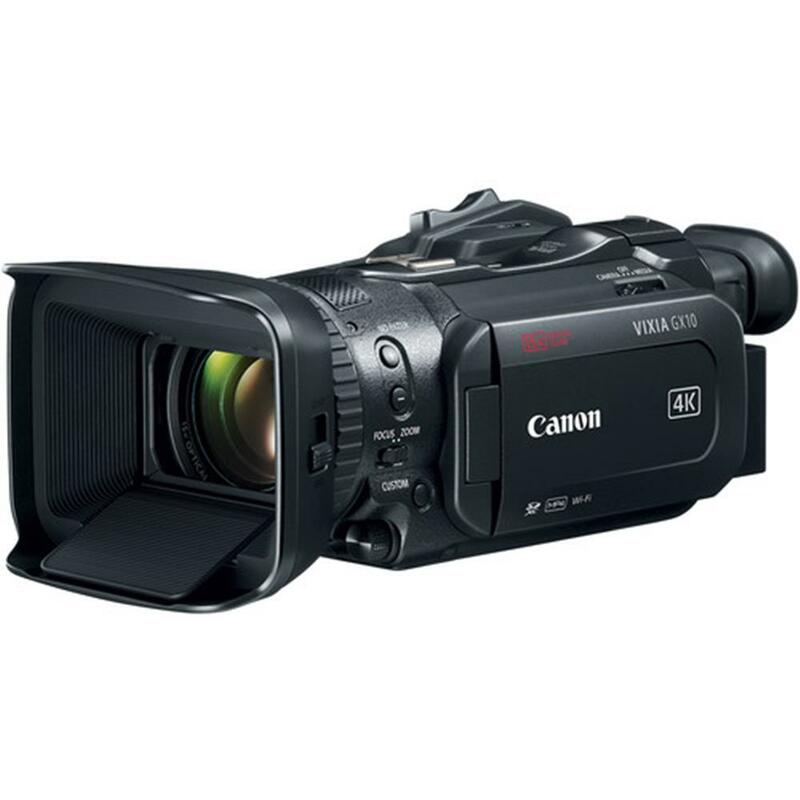 The camcorder is capable of recording 4K UHD video at 60p. A 15x optical zoom lens maintains 4K UHD quality throughout the entire zoom range, while the camcorder’s Dual Pixel CMOS AF helps facilitate fast and accurate autofocus. 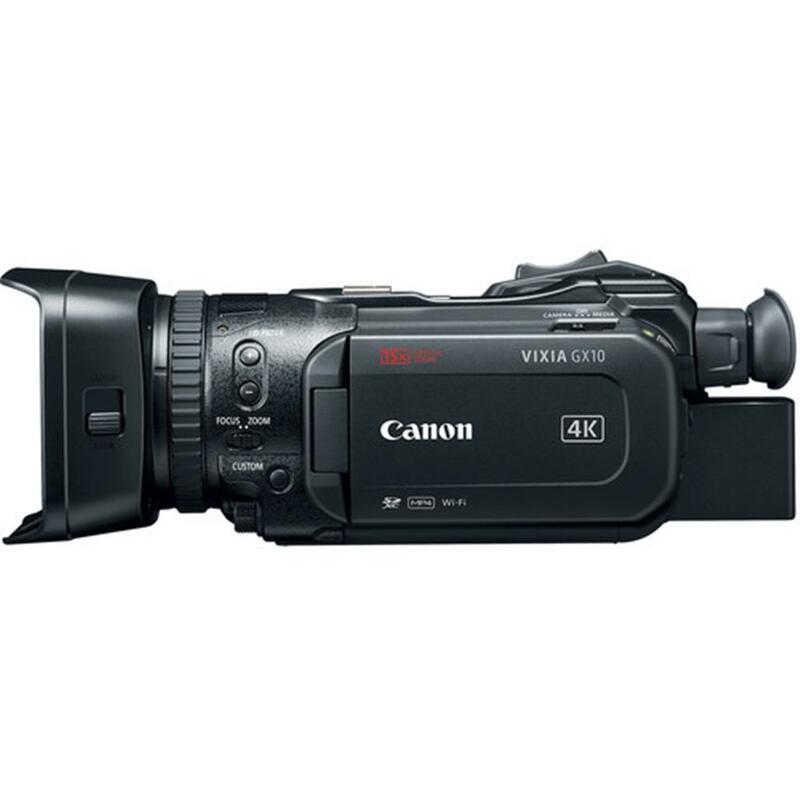 The camcorder includes an HDMI 2.0 terminal with 4K UHD output support, an adjustable 3.5-inch touch panel LCD monitor, a built-in 0.24-inch electronic viewfinder and accessory shoe support, enhancing usability and allowing the VIXIA GX10 to operate in a variety of shooting situations. 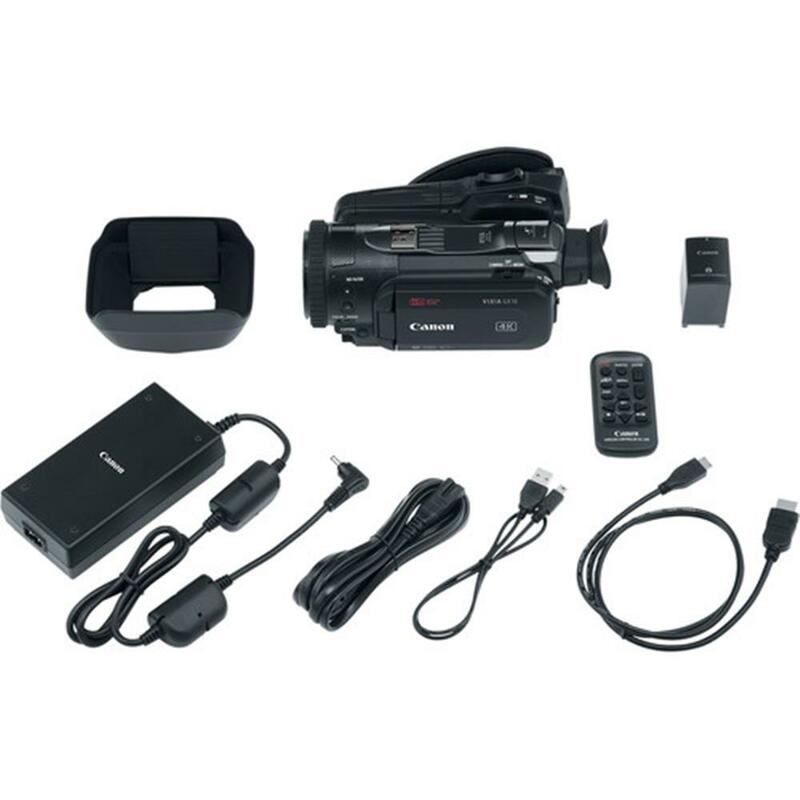 Whether you are a video enthusiast or aspiring professional, the VIXIA GX10 is equipped to meet your needs. 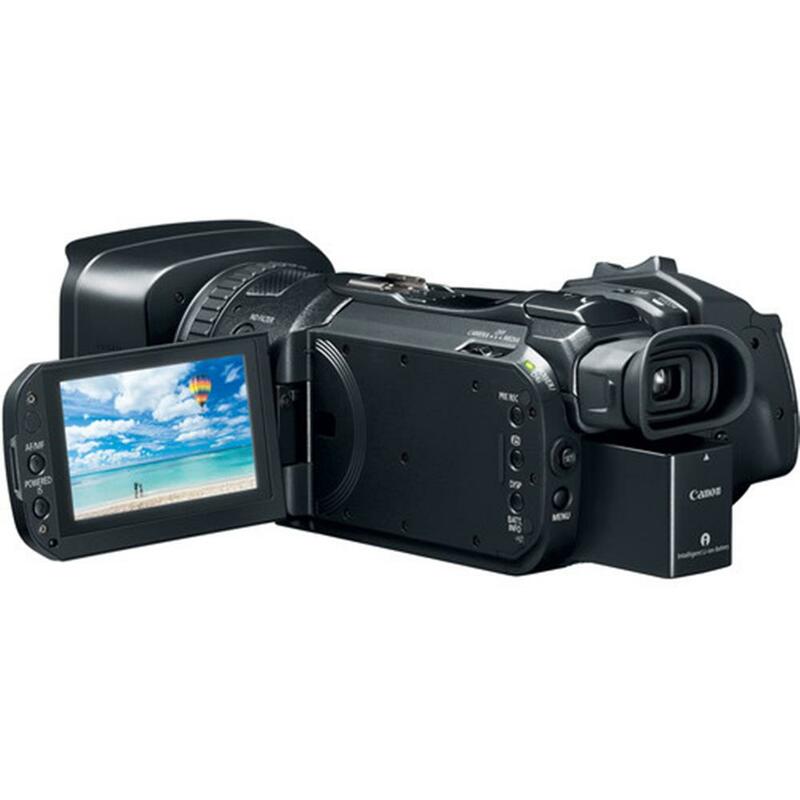 The VIXIA GX10 camcorder also incorporates a 5-axis Optical Image Stabilization (IS) system. 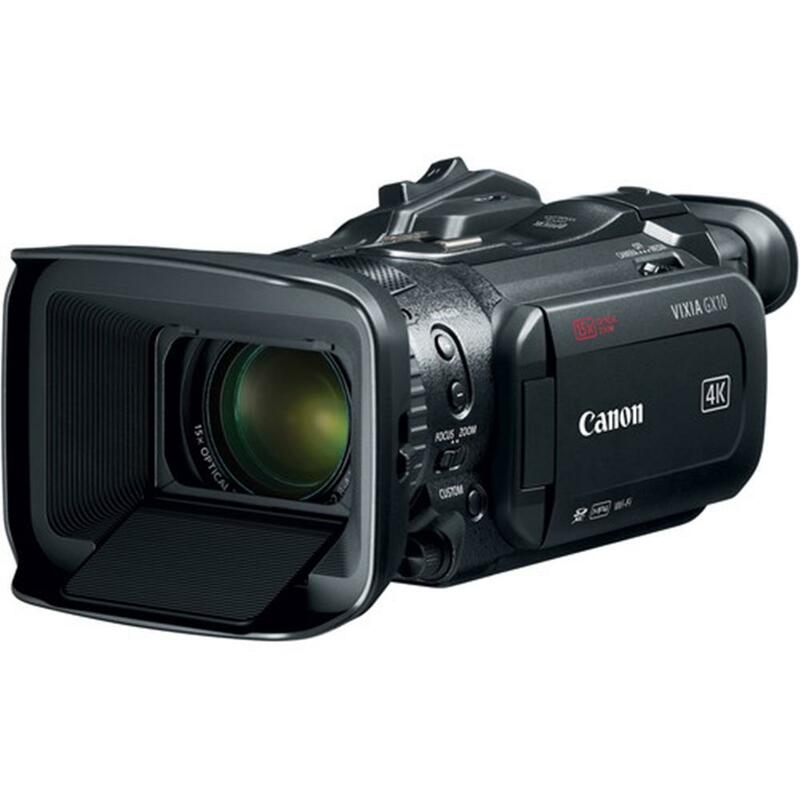 The camcorder features three modes of image stabilization: Standard, Dynamic and Powered. In Standard IS mode, the stabilizing angle is made constant independent of the zoom magnification. Dynamic IS mode extends the stabilizing range at the wide end of the focal length, allowing for image stabilization when shooting while walking. Powered IS mode helps facilitate stabilization in the low frequency range at the tele end, and should be used exclusively for fixed-point shooting which does not involve panning. 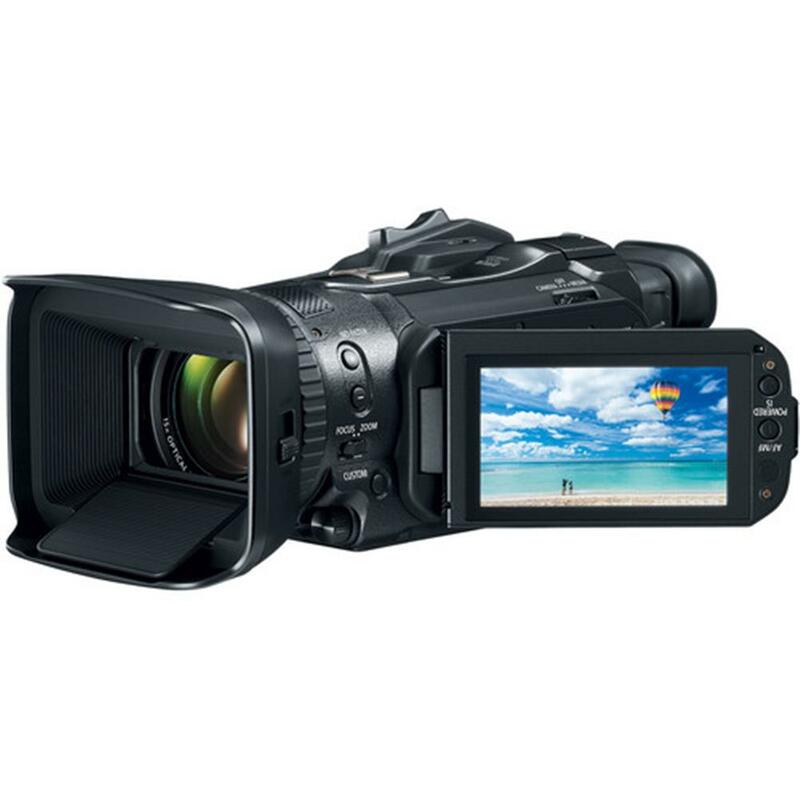 The VIXIA GX10 camcorder incorporates Canon's dual DIGIC DV 6 Image Processors, which are integral in providing high image quality, advanced performance and convenient operability. This advanced core technology component provides the image-processing power and speed that enables features such as 4K UHD video acquisition, image stabilization, slow and fast motion recording and precise Dual Pixel CMOS AF. The VIXIA GX10 camcorder's 3.5-inch touch panel LCD enables smooth, intuitive operation of Dual Pixel CMOS AF. Accurate AF technology can be employed when shooting a scene by tapping a finger on the desired area of the scene you want the lens to focus on. Dual Pixel CMOS AF offers continuous AF within a horizontal and vertical range of the screen of approximately 80%. It also provides highly accurate Face Detection AF, which assists during single-operator shooting. Users can also use the touch panel to move the autofocus target manually. Utilizing information from Dual Pixel CMOS AF, Dual Pixel Focus Guide helps achieve precise focus by displaying focus assist information on the screen. It employs a truly innovative user interface that enables the user to see if they are focused in front of or behind the subject through visual observation, and allows quick and accurate manual focus to be achieved. This helps simplify the focusing process when shooting in 4K UHD, which requires strict focus accuracy. The VIXIA GX10 camcorder features a 3.5-inch Touch Panel LCD and a newly designed 0.24-inch Electronic Viewfinder (EVF). The Touch Panel LCD and EVF both display approximately 1.56 million dots and provide visual recognition of desired features along with a full array of menu options for controlling camcorder settings. The Touch Panel LCD works with Canon's exclusive AF technologies for easy monitoring and one-finger tap-focusing during shooting and the EVF offers 60° of tilt for more comfortable operation in a variety of positions. The VIXIA GX10 camcorder supports slow and fast motion recording, and can record in a different frame rate from playback for slow and fast motion effects. Slow motion recording of up to 120 fps (x0.2) in Full HD is supported, helping to create an emotionally moving and exciting style of video. The VIXIA GX10 camcorder's 1.0-inch sensor allows for larger photosites compared to smaller-sized sensors, resulting in improved images with less noise in low-light situations. The larger sensor also exhibits a shallower depth of field at large apertures, providing greater depth of field control and creative options. The camcorder's new DIGIC DV 6 imaging engine further enhances the high sensitivity and low noise performance of the camcorder.